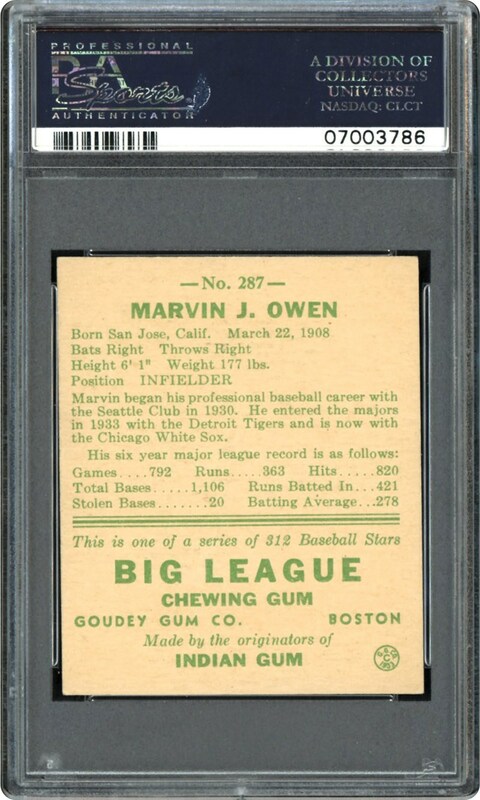 This outstanding 1938 Goudey PSA NM/MT 8 gem portraying the White Sox's Marvin Owen has only been bested by a sole example! 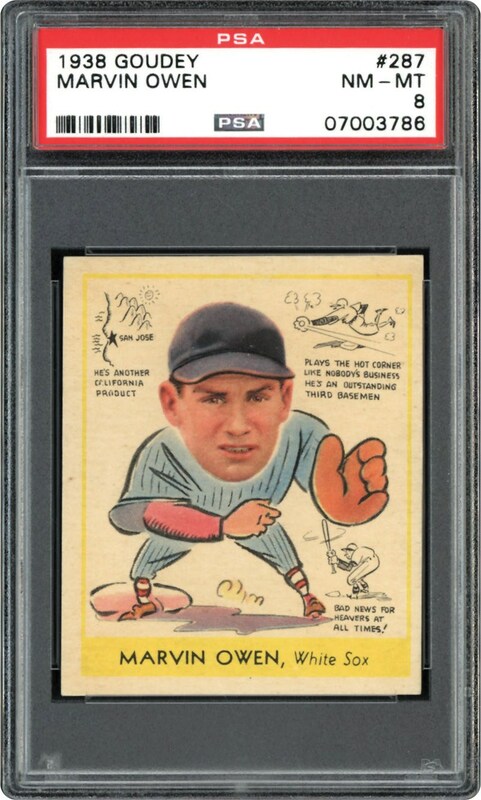 A seemingly "timeless" cardboard artifact, Owen's fielding pose exhibits sparking hues and fine clarity, with the radiant yellow frame reflecting only a modest favoritism towards the right edge. Considering only seven other specimens have managed to achieve this lofty assessment, we highly advise you to capture this "scarce for the grade" offering that proudly boasts the highly coveted PSA 8 grade!